Adverts can be an annoying distraction to your browsing experience. 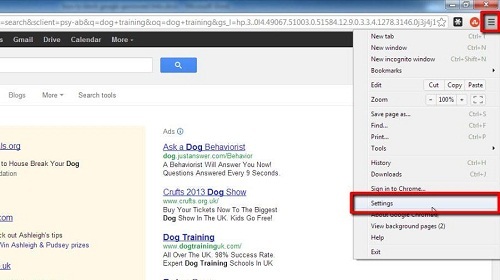 This tutorial will show you how to block google sponsored links. Navigate to your local Google page, here “www.google.co.uk”. 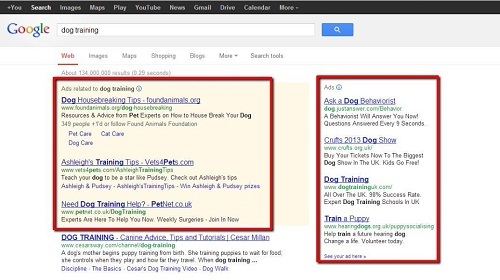 When you enter a search term into the box and press return you will see your search results along with some adverts at the top of the search column as well as some to the right of the page. These are the adverts that we want to block. We are going to install an extension for Chrome that is going to prevent these adverts appearing. In the top right corner of the browser click on the icon that looks like three vertical lines and in the menu that appears click “Settings”. In the menu on the left click “Extensions” and at the bottom of the new page click “Get more extensions”. A new tab will open and in the search box in the top right hand corner type “AdBlock” and press return. A list will populate on the right with all the matching extensions. Click the “Add to Chrome” button to the right of the top extension in the list, then click “Add” in the dialog box that appears. 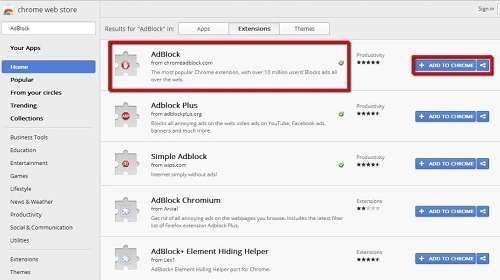 A file will download and will be added to Chrome automatically, you will see the AdBlock logo appear in the top right of the browser. That is how to block google sponsored links and you will be redirected to a donation page where you can make a payment if you wish.